Just download PWNageTool 2.0. Run it and follow the instructions. Make sure to add Cydia, when asked. 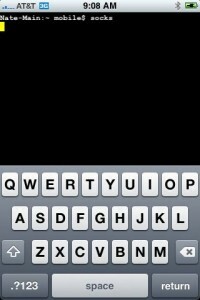 During the jailbreak, Cydia should have appeared on one of your app pages: use it and let Cydia load and self-update. Then head to Install, All Packages, then find MobileTerminal and 3Proxy (3Proxy is at the bottom). Install both and hit your Home button. 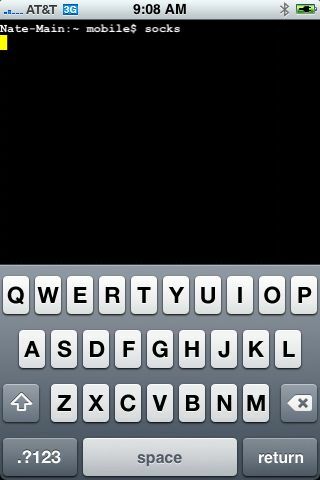 Your phone will restart and you'll see Terminal installed on your home screen. 3Proxy isn't a GUI app and as such won't have an icon. Using whatever wireless software suite you have, create an ad-hoc network. 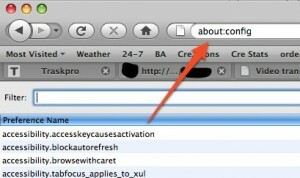 On a Mac it's in the Airport menu, under "Create network...". Name it something inconspicuous. I called mine "baladoux". On your iPhone, join the ad-hoc network. Memorize (or write down) this IP address. You will need it later. Simple enough. Open Terminal, type "socks" and hit return. 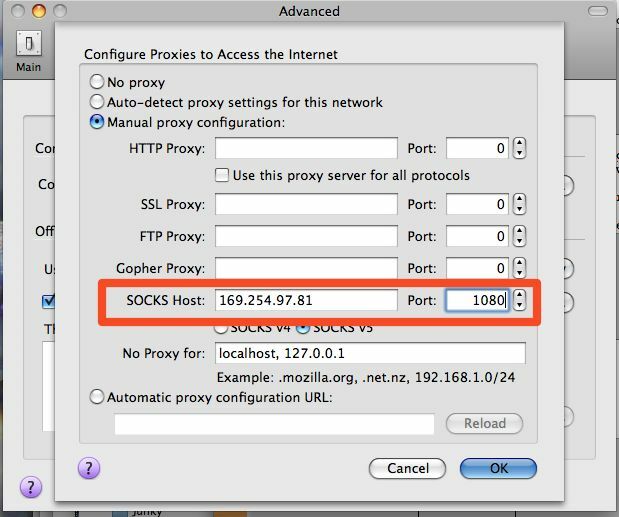 Nothing will appear to happen, but the SOCKS server will be running. You can hit the home button to push Terminal to the background (remember to terminate it later, by switching back to Terminal and holding the Home button until it closes). This step is important. The page will take a while to load. 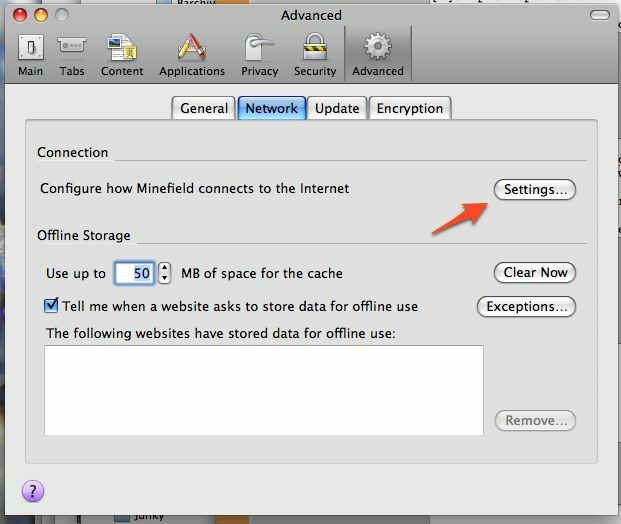 When Safari realizes it can't get to the Internet using the ad-hoc Wifi, it will do some internal magic to switch back to 3G for Internet while still on your ad-hoc network. That lets the proxy do its thing. 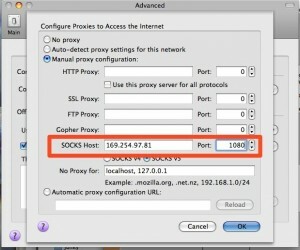 In Filter, type "socks" and then double-click "network.proxy.socks_remote_dns" to make its value "true". That should be all you need! 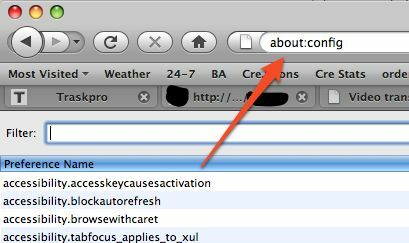 Firefox should be able to browse the Internet through your iPhone's 3G connection. 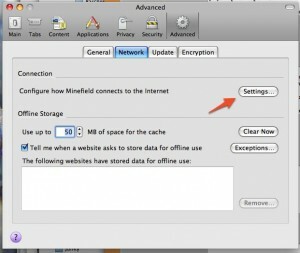 Tethering costs a lot of battery life on the iPhone so make sure you have it plugged in. When you're done, make sure to quit Terminal by opening it back up and pressing and holding the Home button until it quits. Thanks to cre.ations.net for this tutorial. Use PdaNet - it is easier. Great blog! I definitely love how it's easy on my eyes and also the info are well written. I am wondering how I could be notified whenever a new post has been made. I have subscribed to your rss feed which must do the trick! Have a nice day!